Police departments across the country are warning of the sneaky new Venmo scam that can drain your bank account in seconds. Most people who use the tool - and others like it - are linking it to their debit card which can put them at risk, especially if they're too trusting. The apps make it easier to send cash, but as the popularity grows, so do the scams. The scam can also involve other payment apps like Cash App, PayPal or Apple Pay. Police departments across the country are warning of the sneaky new Venmo scam that can drain your bank account in seconds. Most people who use the tool - and others like it - are linking it to their debit card which can put them at risk, especially if they're too trusting. The apps make it easier to send cash, but as the popularity grows, so do the scams. The scam can also involve other payment apps like Cash App, PayPal or Apple Pay. It works like this: Someone asks for your phone, saying their battery died or they left theirs at home. Next, they'll say the person didn't pick up, and they need to text. While you think they're texting, they've actually gone into your payment app to transfer funds out of your account into theirs. Oftentimes, they'll quickly delete the app all together, so you don't get any notifications about the transfer. WSOC-TV reported one instance in North Carolina where someone lost $1,400 from a thief who borrowed their phone. 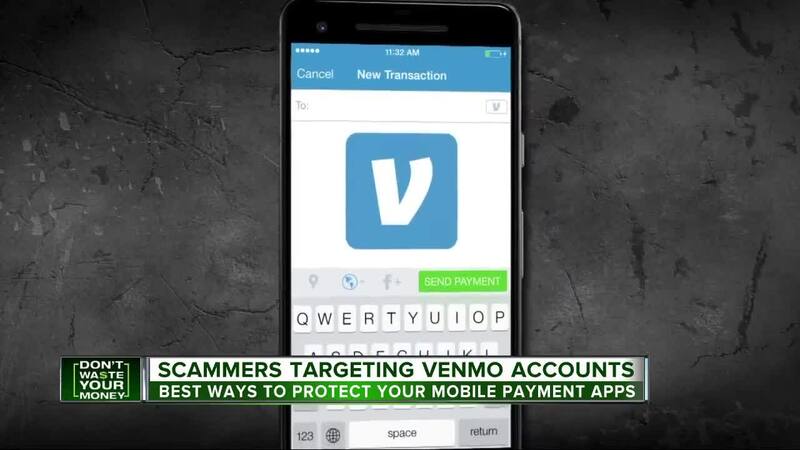 WCNC-TV also reported a scam in North Carolina through Venmo, which cost a person $150. Experts do warn that you shouldn't operate the app without a multi-factor authentication, such as a thumbprint or a PIN code. Plus, while you're at it, get off of bluetooth. "They can hack into the phone via the bluetooth portal and then through that portal, have access to any application that you have," Joseph Martinez, a professor of information security, said. Experts also suggest linking your account to a credit card instead of a debit card so you have more protection. The bottom line, avoid the auto login, and make sure to lock down your app so you don't waste your money. Reporter Justin Boggs contributed to this report.